Beach fishing in Dorset and all along the South coast is reaching its peak now. I have been banging on about the variety of species that are showing up all over the UK, but today I heard about a Stripped Bass being caught from Dover Breakwater. Now that gets me more than excited. Stripped Bass are the American cousin’s of our Sea Bass. They can grow up to 60lb and fight like demons. Unfortunately I can’t show you a picture of it, as I don’t have the owners permission. 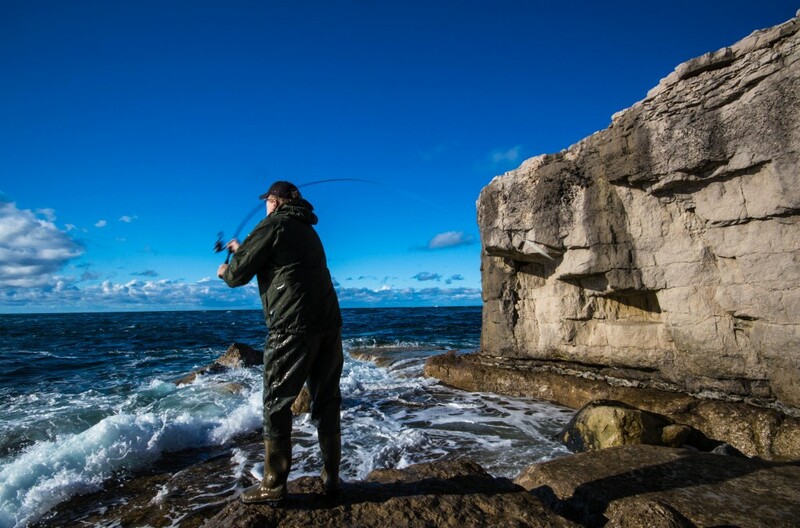 The thought of catching Bass, even our ones was enough to get me out of bed early this morning, and off down to the rock ledges around Portland with my mate. I had two choices of locations and I guess I made the wrong choice. Apart from one lost Bass between us, it was a very quiet session. Conditions were pretty good, along with a good tide, I would have expected a lot more fish. Even the Pollock did not show. I am fairly certain that this evenings tide will produce a lot better results. 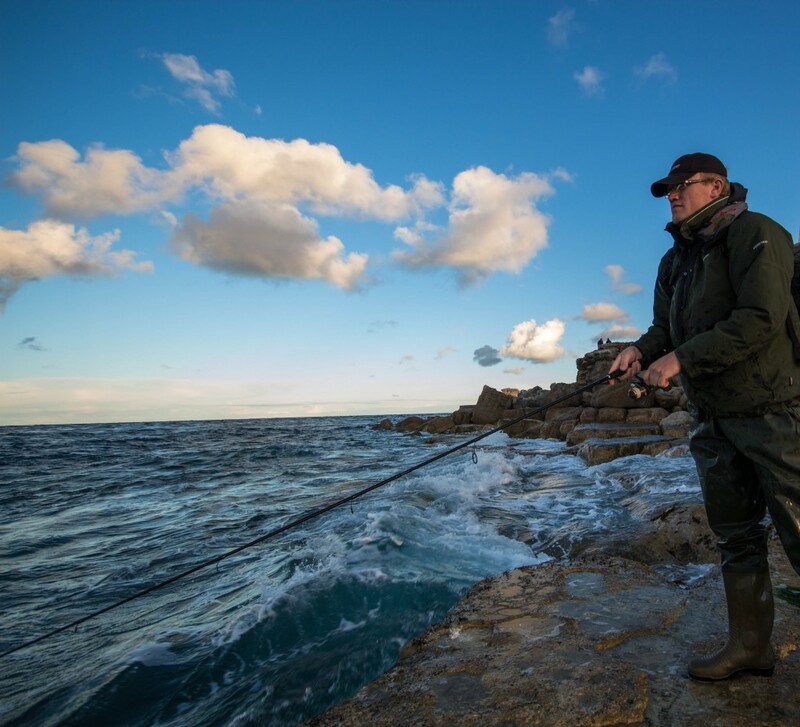 I have heard quite a few anglers complaining that the fishing has been a lot poorer this year than last year. I would disagree. The fishing has been just as good if not better, but it has just been later. I would say that almost everything has been delayed by a month. The summer species are all in now, but in previous years they would have been in by the beginning of August. Reports from other areas of the country suggest that some of the winter species have already started making an appearance. Lots of Whiting are showing up along the South West coast of Wales. I know a few have come on evening tides from Cogden, but they are pin Whiting and can often be caught from there all year. I am still hearing of Codling coming from Dragons Teeth at Abbotsbury, and some in Chesil Cove. My mate Paul, managed a 5lb Codling on THursday from the Cove on frozen Hermit on his last cast. I am sure these are just the odd early fish and not the start of the Cod season. Chesil Beach forecast: With a bit of wind today, for the first time in weeks the water has a bit of a chop on it. 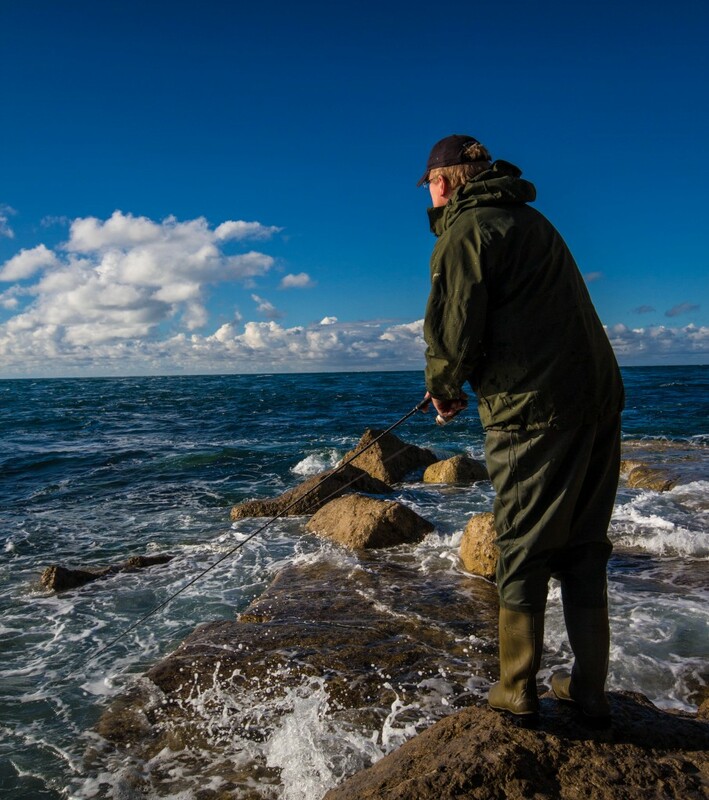 That combined with a good tide, could provide conditions that will prompt the fish to feed a bit better during the day. The water will not be crystal clear, and this could be enough to disguise the rigs, making the fish less nervous of taking your bait. If you are looking for Bream, then head towards the Portland end of Chesil. Gurnard, Garfish and Mackerel are being caught all along the beach, as have a few Smoothound. Head West towards West Bay for a better chance of a Plaice or Ray. The slightly rougher conditions may put the Sole off, especially if it does get rougher. There is a chance that the wind might pick up a bit more this afternoon, which will improve your chances of a Bass. Portland: Plenty of Wrasse around that are happy to take either bait or soft plastics. Despite not having a great session on lures this morning, the conditions at dusk this evening are better and should produce at least some Pollock, if not a Bass or two to lures. Portland Harbour: This is where I should have gone this morning. I had heard that a number of Bass were being caught around the sailing academy both from the shore and from small boats and kayaks. They have been caught on bait and with lures. If you do have a boat then the Hood entrance is fishing well for Pollock and Mackerel. Gilthead Bream are being caught around Sandsfoot Sailing Club. Mussels and Crab baits are great for Gilthead Bream. Weymouth Bay: There are still loads of Mullet in Weymouth Harbour. Most of them seem to be Thick Lipped, so the best bait for those Mullet is going to be bread. However as they are becoming ever more wary, you might want to think about trying floating dog biscuit. Lots of anglers catch Carp on them in the warmer months, and I have had Mullet on them in the past. It is best to use them on days when they winds are light. Both the Stone Pier and the Pleasure Pier are producing Mackerel, Scad, Pollock and Garfish to float fished strips of Mackerel. Use Ragworm to tempt the Wrasse from all along the pier. Three of us went to Seatown on Sat night caught lots of Pout and Two Whiting but very small at high tide.